My daughter’s sixth grade physical education class was doing a section on the game Ultimate. My husband and I jumped on the opportunity to join the class and help teach these youngsters how to play. Our offspring soon realized we were not there to spend time with her but to re-live our glory days of carefree individuals with the wind in our hair running, throwing and catching a flying disc. This was, after all OUR game. 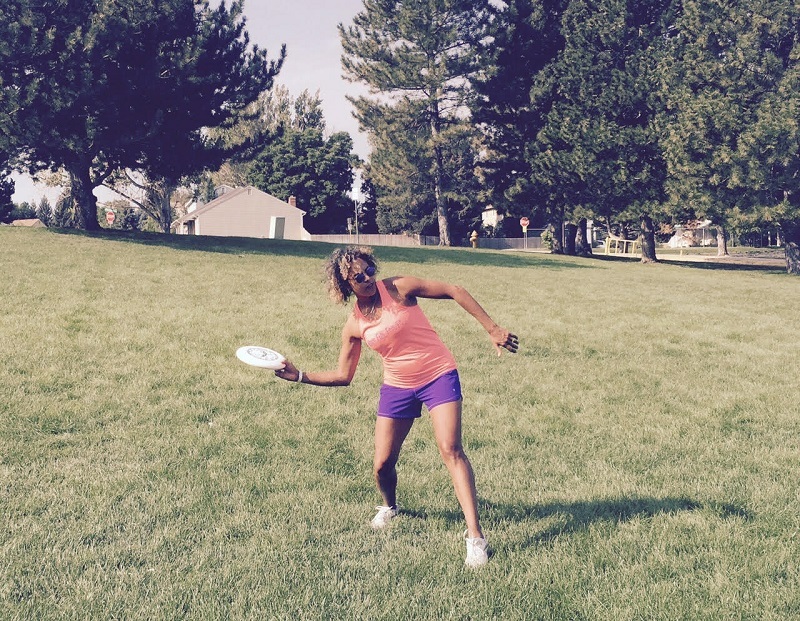 Ultimate Frisbee for a Great Workout! A game he introduced to me while we were courting and I’ve always loved it. We played on a co-ed Ultimate Disc league in Boston and I loved the spirit of it and those who played were mostly smart, fun and friendly people. While some were a little more athletic than others it seemed to be a game where you didn’t have to be a super star athlete to do well. It was a mix of gender and ages. I remember being in awe of one of our team members, Phillip who was nearing the ripe old age of 50 and still hanging tough with us twenty-somethings. In case you’re not familiar with Ultimate or Ultimate Frisbee as it’s also called, it is played on a soccer field with seven people on a team. Each team tries to advance the flying disc across the opposing goal line. Team members run toward the goal line attempting to be open to catch the disc. The person holding the disc cannot travel but only pivot as he decides where to throw. If the Frisbee touches the ground it’s turned over to the other team. As a result it’s a fast moving game that requires a lot of running similar to soccer but usually less intense and unlike soccer you get to use your thumbs. I’m not a big fan of running and only like doing it with a purpose. Ultimate seemed to be a good reason and every summer when I played twice a week I easily dropped ten pounds and greatly increased my physical endurance. 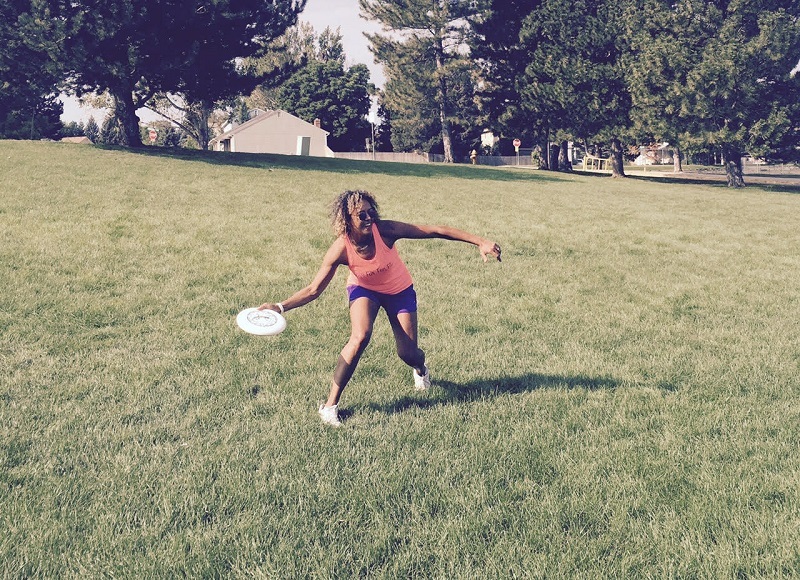 The running is in spurts as you rush to catch the disc or defend against your opponent catching it. This is interval running which pushes your heart rate up allowing you to increase your aerobic capacity and burn more calories. By the end of the season I was a size or two smaller and able to play a two day tournament without collapsing. 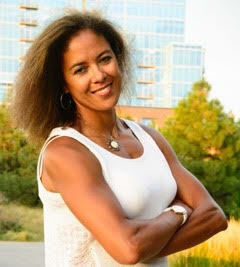 Besides running, the game requires throwing, jumping, squatting and more. It’s a full body workout. We’d easily play two or three hours of frisbee without realizing it because we were having fun and making friends. The emphasis is on “spirit of the game” which makes it enjoyable for those who don’t consider themselves athletes or even sport lovers. But for those who do consider themselves athletes it’s a great way to cross train. Ultimate has come a long way to now be a chapter of study in a middle school. When I started playing in 1995 I had never heard of it and thought it was just a game my computer geek friends learned at college. According to Wikipedia it was born on the Amherst College Campus in Massachusetts in the 1960’s using pie tins and borrowing concepts from football, soccer and basketball. Once a plastic flying disc was made available the game evolved from intramural leagues to more serious club teams attracting more athletic types and schools offering scholarships. Now it’s a real professional sport where players are paid and highlights shown on ESPN. Despite it’s growth frisbee is still considered a friendly competition with self-officiating. That means no referees. Everyone is on their honor to call fouls and agree to disagree any dispute. The frisbee club leagues have official “observers” to help with any disagreements. Now as I near the age of 50 I have even more respect for my former teammate, Phillip. I’m not as fast as I used to be and keeping up with a team of twenty-somethings requires savvy playing. Fortunately for me there are now “masters” frisbee leagues for those of us over 40. You can probably find a team near you by searching on-line. I always find participants extremely welcoming to new players for frisbee. If you’re like me and need a reason to run this will help. However, be patient with yourself as you learn to execute a proper backhand or forehand throw. If you have children maybe they can show you a thing or two in the backyard. Always talk to your doctor before you change or take up any exercise.